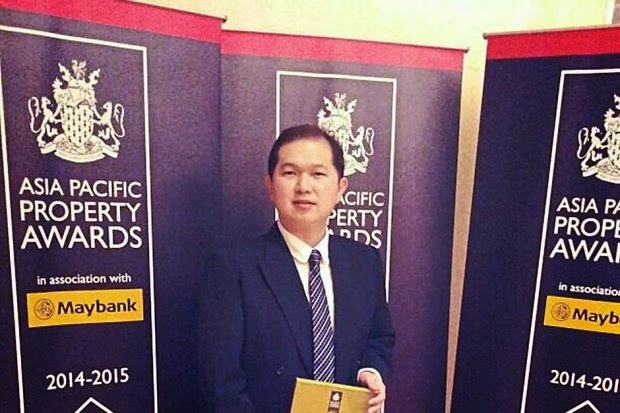 Ivory Properties Group Bhd (IPGB) has received recognition for the design of The Wave building in George Town, Penang. The Wave’s extraordinary exterior that gives the impression that waves are lapping over the building bagged the Residential High-Rise Architecture in Malaysia at the Asia Pacific Property Awards 2014-2015. IPGB chief operating officer Goh Chin Heng (pic) said the award would encourage the company to think out of the box for future development projects. “It is definitely a proud recognition for IPGB to be awarded with such honour and it will act as a boost for us to perform better,” he said in a statement recently. Situated in the heart of George Town and with a total gross development value of RM264mil, the 27-storey building is part of Penang Times Square project. The wave-like forms serve as elegant sun protection shades around the glazed body. “The concept of the blueprint was carefully considered to explore the full functions of the rhythmic design rather than just for decoration purpose,” he said.